This wacky-colored Jr. Obstacle is an obstacle perfectly designed for little challengers! 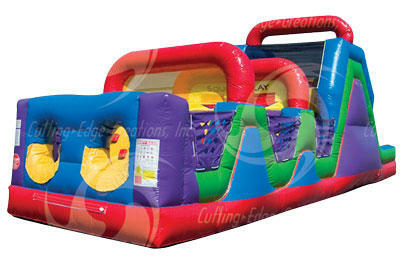 You get the climb & slide, tunnels and obstacles galore with this awaesome obstacle course rental.